Fantastic SSD! Solid performer, very fast and looks great as well. Very cheap in comparison to the other high end SSDs. I really struggled between going with an SSD or an HDD because I didn't think I could fit the SSD in the budget. 120GB might seem like a small amount of storage but he's coming from a 40GB HDD so in perspective this was three times as much storage and he was only using 25GB of it. Yes I could have gotten a 250GB HDD for around $30-$35 but I had the room in my budget and knew how much of an improvement an SSD would provide in general computer usage. My Dad was so happy with how fast the computer boots and applications open so it was worth it. 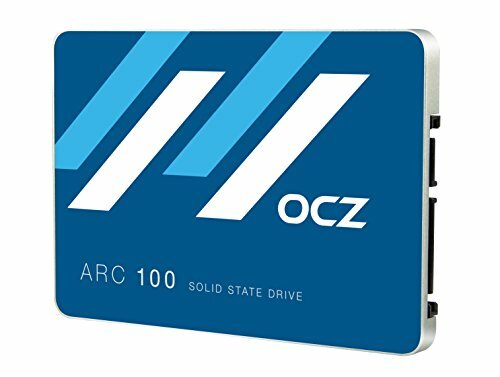 I chose the OCZ ARC 100 because the performance was one of the best in that price range and had great reviews. Not the fast out there but great price to performance. Pretty Fast, OS 4 seconds boot. Enough for what I need large warranty and best of all cheap and reliable, small build architecture process too.